Our newest supplier Roca is turning 100! In October we opened the doors to our brand new showroom. 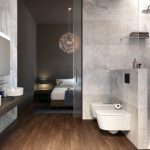 A large part of the new showroom is now completely dedicated to Roca sanitary ware and another large part of our tile showroom is also full of Roca tiles. 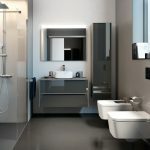 2017 sees the Spanish bathroom manufacture turn 100 years old. This is probably one of our more recognisable brands, as generally seen in popular tourist resorts of Spain and Europe. Throughout 2017, Roca are putting on various events and exhibitions to mark the occasion. These events will focus on the company growing from a family workshop in 1917 based in Barcelona to a global powerhouse in 2017. Congratulations from all at Ware With All, we look forward to working together over the next 100 years. To have a look through the brochure please follow this link.